Saudi Arabia Police Clearance Certificate is mandatory for expatriates, who have planned to migrate European countries or countries like Australia, Canada, Europe, New Zealand, UK, USA etc, in future. As this countries law require to criminal record check of an expatriate. If you are out of Saudi Arabia then read this article "Police Clearance Certificate outside KSA". If you are planning for final exit in Saudi Arabia, then it is better to take police clearance certificate, before you left from Saudi. As once you left from here, there is a different and long procedure to get it. Before, final exit I refer you to read in this article "Final Exit in Saudi". 1. Contact your country embassy in Saudi Arabia for applying an Endorsement letter. Submit the filled form including Iqama copy and fee for applying endorsement letter. It may take a time of 1 to 2 weeks to be processed. 2. Once you get endorsement letter from embassy, Visit MOFA (Ministry Of Foreign Affairs) for attesting your letter, You will be provided with a form, Fill it and submit it back to MOFA with a fee of SR 100/- including endorsement letter and photocopies of your Iqama and passport. 3. 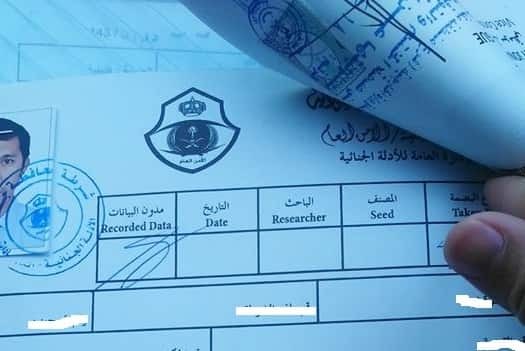 Once your letter attested by MOFA, Make sure your fingerprints are enrolled in Ministry Of Interior systems, To check follow this article "finger print status". 4. Visit one of the below mentioned police stations for police clearance certificate with your documents (attested endorsement letter, Iqama and passport photocopies) along with company representative. - Riyadh, Deera police office, near to court. - Jeddah, Police office behind Islamic Development Bank. - Dammam, Police office opposite to Governor house. 5. You will get an expected date from police station for your police clearance certificate. You need to visit that day again to collect it. Once you get translate it in English for your future use. I already have my PCC and translated in English. Do I need a stamp from MOFA or Chamber of Commerce or No need? I also have a Canada application and Qatar application.